My Grandma, Remedios Castelo, was the ‘fashionista’ in my family. Even before coming to the US from the Philippines in 1967, she had a passion for fashion and decided to make dress making her career. She made anything from simple children’s clothes for my sisters and I to fabulous detailed gowns like my mothers wedding dress. Besides fashion, she loved to travel and was inspired from many different people and places. 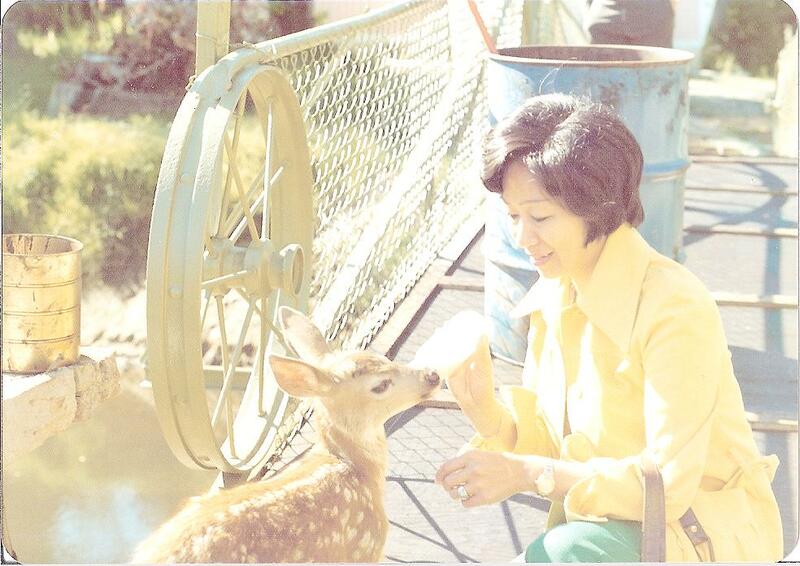 This picture was taken in 1971 when she traveled to Oregon for vacation away from California where she resided. She is my style icon because no matter where she went, she always looked stunning in her outfits and was always comfortable in her own skin. she is my main motivation to pursue my passion in the fashion industry. I learned basic sewing skills from my mother, who learned it from her mother (my grandma), so in a way fashion became the [sewing] knot in which 3 generations connected.